FSP's Hydro PTM power supply series feature 80 PLUS® Platinum rated efficiency and are fully modular. 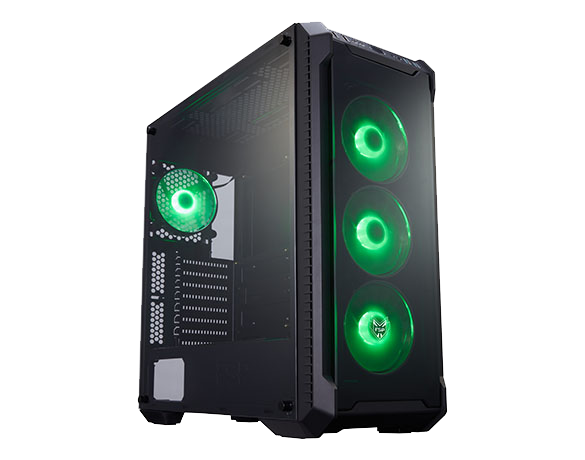 They are an excellent choice for high-performance PCs, thanks to the fluid dynamic bearing (FDB) fan and Japanese electrolytic capacitors. These highly reliable power supplies are perfect for gaming enthusiasts and overclockers. FSP's Hydro PTM power supply series are equipped with the highest grade components such as DC-DC module design and 100% Japanese capacitors. These power supplies offer 80 PLUS® Platinum rated efficiency, voltage stability, and ripple suppression. With the support of high-quality 135mm FDB fan, the Hydro PTM series are extremely cool and quiet. 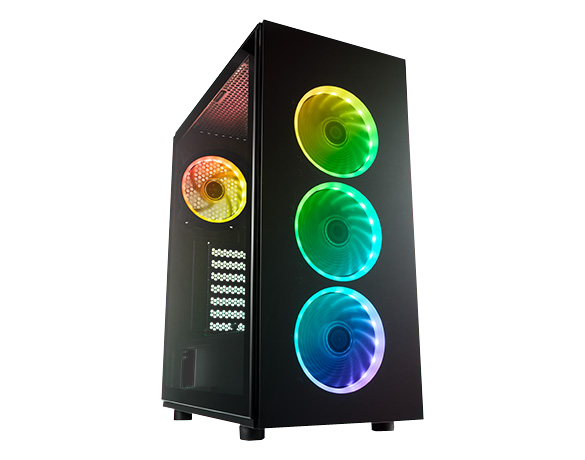 The series come with changeable unique side stickers and a fully modular cable system, they are ideal for DIY enthusiasts, gamers, and overclockers. Hydro PTM series are featured with intelligent fan speed control circuit design which uses a diameter of 135mm, fluid dynamic bearing, for low noise and reliable operation at low and medium loads. HYDRO PTM series features extremely tight voltage regulation to make the output voltage regulation under +/- 1% at any load change and offer you supreme efficiency and voltage stability. Hydro PTM series come with 80 Plus Platinum Certification which means your power supplies consume less heat and have a lower operating cost. The power supplies are guaranteed to operate at a minimum of 92% efficiency at 50% load of PSU rated power. FSP is committed to manufacturing high-quality and reliable power supplies. The Hydro PTM series are backed by our 10-year warranty. Fully modular design simplifies installation and allows you to use only the cables you need, for a neater, cleaner build. The power supplies come with 3 changeable side stickers to show your style, perfect for DIY enthusiasts and gamers. OVP (Over Voltage Protection), UVP (Under Voltage Protection), OCP j (Over Current Protection), OPP (Over Power Protection), SCP (Short Circuit Protection), and OTP (Over Temperature Protection), a full guardian circuit protections to keep your hardware safe. FSP has over 20 years of experience in manufacturing power supplies. Every chosen component has been carefully selected and backed by our extensive research and development. A new heat dissipation design that conducts heat through a thermal pad (located at the bottom of the PSU) transforms the PSU into a heat-sink and helps to cool down the system. 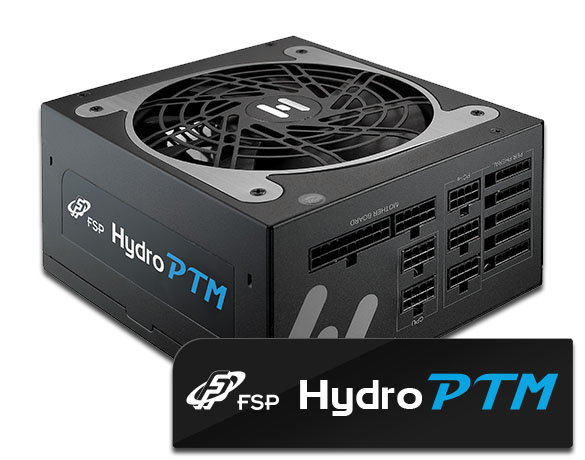 The FSP Hydro PTM 750W is a fine power supply and a well rounded package. Highly recommended. 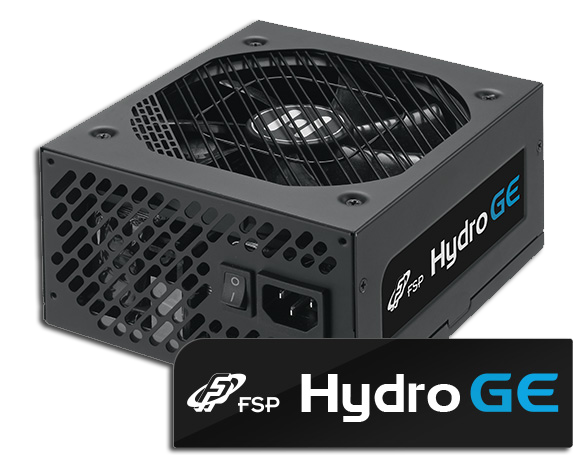 The new Hydro Platinum 750W PSU from FSP proved to be a very good power supply and a worthy addition to their power supply lineup. The unit delivered excellent efficiency and very good performance across the board. The FSP Hydro PTM 750W is the latest power supply we have seen from FSP in the various Hydro series of units. When the rubber met the road, the Hydro PTM 750W showed itself to not only be the newest of the Hydro lines, but also the best overall. The FSP Hydro PTM 750W 's internal design is appropriate for an ATX unit, and all the components are of good quality. According to our affiliates, this product features excellent voltage regulation performance and energy efficiency. The ten-year warranty is really impressive. HYDRO PTM 750W got the cybenetics report with ETA "A" and LAMBD "A-" certifications. This report means that the final result besides highly accurate, also takes into account all possible usage scenarios. A single efficiency rating number takes away the complexity of our test procedures, making much easier for all consumers the decision on their PSU purchase, according to their efficiency needs.